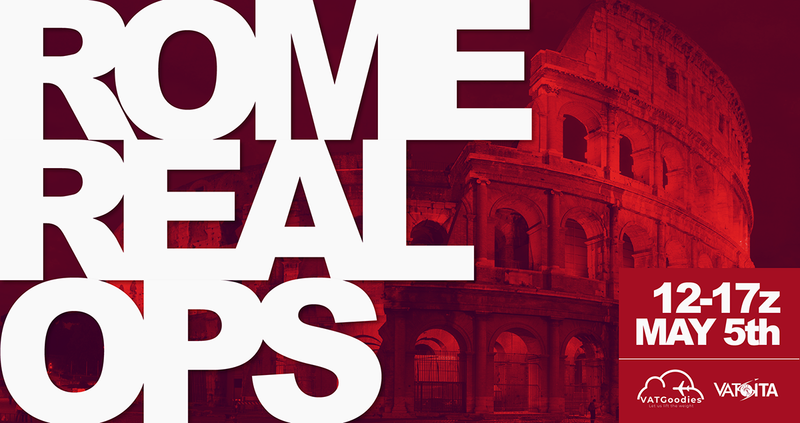 Join us in the first ever Rome real operations, book your flight and fly in and out of Rome, we will be covering LIRF Fiumicino and LIRA Ciampino airports with full ATC in the whole FIR of Rome. This is Italy's busiest airspace, so fun is granted, as you can see there are over 250 flights! Make sure you have read and understood the Pilot briefing for LIRF and be up to date with procedures like "Land after" and "Continue standard one", these are a must to keep the traffic flowing on the independent parallel ILSs! All times are in ZULU, departure time indicates Estimated Off-Block time, which is the 'pushback' time.